Whether your vehicle requires major repairs or is due for maintenance checks, Main Street Auto Repair of Placerville, CA is qualified to handle it all. We pride ourselves in quality auto repair service & maintenance and we always work hard to ensure we provide the best customer service and experience. In need of Auto Repair Service? 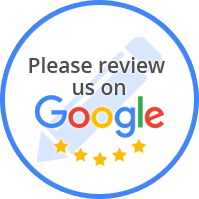 Contact us today and let our team of experts here at Main Street Auto Repair of Placerville, CA handle everything! Where Your Car Is Family! Main Street Auto Repair of Placerville, CA is founded on the fundamental principle that the customer is in the drivers seat. 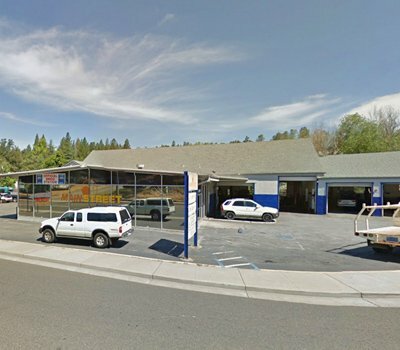 Main Street Auto Repair of Placerville, CA understands that your vehicle is a critical part of your daily life. Our goal here at Main Street Auto Repair of Placerville, CA is to ensure that your vehicle is maintained to meet or exceed factory specifications in order to minimize costly and inconvenient repairs. Every scheduled maintenance service here at Main Street Auto Repair of Placerville, CA includes a complete and comprehensive vehicle inspection to inform you of the overall and specific condition of the major components and systems of your vehicle. We do not believe in hard sales tactics, rather we seek to inform and allow the customer to decide. Whether your vehicle requires major repairs or is due for maintenance checks, Main Street Auto Repair of Placerville, CA is qualified to handle it all. All our technicians are highly experienced and trained and know exactly how to address all auto repairs and car services. We always stick to the manufacturer’s guidelines. Not only does this ensure your car is repaired correctly the first time, but we also help to keep your car on the road as long as possible. So, if your car is giving any trouble or requires major repairs, call Main Street Auto Repair of Placerville, CA or set up an appointment online. You can also contact us if you have any general questions about your car. We are here to help our customers in any way we can. Our goal is to ensure that your vehicle is maintained to meet or exceed factory specifications in order to minimize costly and inconvenient repairs. “Had an awesome experience here. Friendly and honest. My car was towed in on a Friday morning from Lake Tahoe, mechanic at breakdown location thought I might be looking at around $1500.00 repairs. After explaining to josh the issues it was thought I might have car back Tuesday or Wednesday. I received a call that afternoon, problem solved under $300 and my car finished less than 8 hours after they opened Friday AM. “My car began playing up on a journey from the Bay Area to South Lake, made worse with two toddlers and round 100 degree temp outside. I stopped at Placerville and Jeremy's team kindly offered to take a look at it for me right away to see what the problem was and to see if I would be okay to continue up the mountain. Firstly, their service couldn't have been quicker, they had the car up in the air in minutes. My children and I ended up spending a couple of hours at Main Street Auto while I figured out logistics of rental car etc and Jeremy figured out what he needed to repair the car. His attention to us was admirable. He checked and double checked parts (this is not a car model he typically works on) and helped entertain my toddlers, who were over-heating and long expired. He even offered to fly me to South Lake himself! Jeremy came to my rescue when no local rental cars were available and went above and beyond to make sure myself and my children got to our destination safely. His team repaired my car in the timescale predicted and the cost was very reasonable. “I was trapped with an overheating car in Placerville on a Saturday, and Jeremy was there to answer the phone and stuck around to help us out. He worked through some pretty difficult stuff to get my car back up and running so I could get back to San Francisco. He was great, very accommodating and fair. I've worked in the automotive industry for 16 years, and I can tell you that a trustworthy, fair and kind person is difficult to find these days. I would recommend Jeremy and Main Street Auto Repair to anyone - and not just because he's fair and trustworthy. The quality and care he took to make sure I made it all the way back to The City, and his insistence of quality (even when he probably just wanted to go home on a Saturday) put him at the top of the heap. Repairs are annoying and inconvenient to anyone, we try our best to maintain all of our clients vehicles so that we keep unexpected repairs to a minimum. That said, sometimes parts do simply fail, and that is when repairs are needed. We, at Main Street Auto Repair of Placerville, CA understand that having a failure in your vehicle was not part of your plans, and we work tirelessly to get your vehicle back in running order as soon as possible. The most important step in any repair is proper diagnosis. Many shops simply replace the part that has failed and do not take the time to identify why it failed. Other components in the system may not be working as designed putting undue stress on other parts causing them to fail prematurely. If this problem is not found and repaired, additional inconvenience and cost is often the result. Our ASE Certified technicians here at Main Street Auto Repair of Placerville, CA have been specifically trained in Root-Cause Diagnostics to find the real source of the problem, and not just to slap a band-aid over it. It is this process that really sets Main Street Auto apart from the rest. Our trusted local technicians have years of experience on handling any auto repair and maintenance service to keep you running trouble free. Located in Placerville, Main Street Auto Repair use the very latest in auto repair technology to make sure your car is returned to factory standards.